There’s nothing better than opening up your email and finding a musical treat waiting for you. The latest treat to find its way to me is the track “Ghost Speak” by Vancouver indie-pop/electronic artist Le Roi Crocodile. 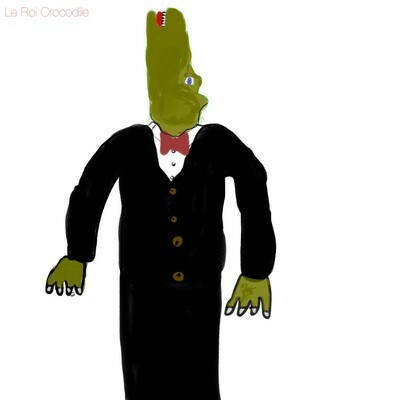 Le Roi Crocodile explains: “[It’s] a project I devised because I was tired of making slow, acoustic music. I wanted to create music that people could dance and feel good to, while maintaining lyrical depth and sentimental value.” “Ghost Speak” does precisely that, exploring the feelings that emerge when something beloved is lost, only to resurface. Citing influences ranging from the electronic to jazz and hip-hop, Le Roi Crocodile’s first foray into the genre is a stellar debut and a perfect late summer/cusp of autumn track. The vocals feel like echoes within walls on a sleepless night, one where the blankets tangle about as a fevered body tosses and turns. Give it a spin on Soundcloud and then follow Le Roi Crocodile on Twitter, because exciting things are about to happen with this artist. I feel it.